Even if you do not order this in time to give as a gift for the BIG day, you can still order it now, and it will sit on the shelf, or in your pocket, filled with tequila, and remind you of the fun you will have (or did have) on the Cinco De Mayo Celebration! Then throughout the year, this festive and fun flask will be a reminder of what fun you will have next year! Besides, you do not have to wait for 12 more months... just as the song says “It’s five o’clock somewhere,” YOU can celebrate Cinco De Mayo anytime you want and anyplace you want! Some people have a day of Christmas music and festivities in the middle of summer, just for fun, and YOU can celebrate the Cinco De Mayo excitement anytime you wish! We have beautiful flasks for any and all occasions, and this one is a stunning 8 ounce hip flask with a fun and festive design, and you will love it all year round! 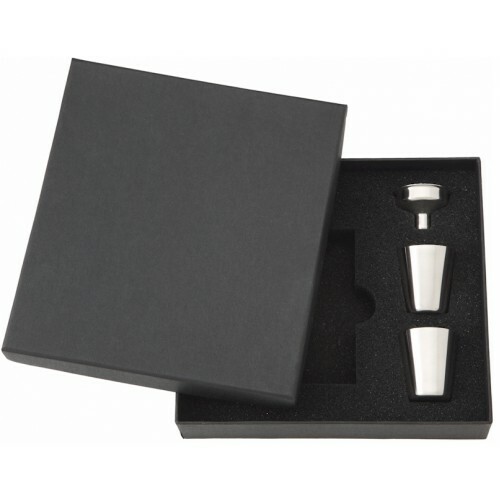 When you give one of our wonderful flasks as a gift, you may opt for an additional funnel, a pair of shot glasses, and a luxurious gift box, suitable for gift wrapping. 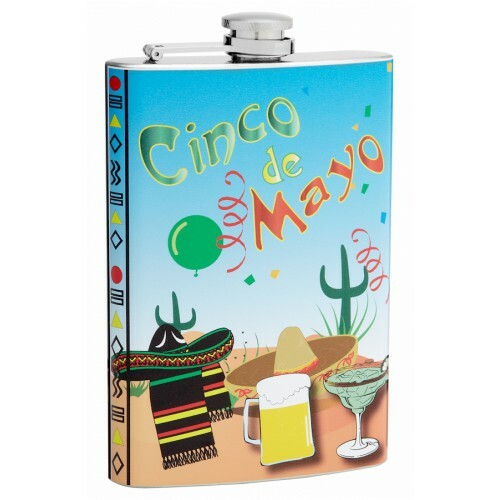 If you are going to present this flask as a gift, on the actual fifth day of May, you might choose to fill it with tequila, and don’t forget a fresh lime, and perhaps a bag of salt! I would also add a CD of Mariachi Music to complete the gift, or you can put it all into a “basket” along with a bottle of Jose Cuervo. 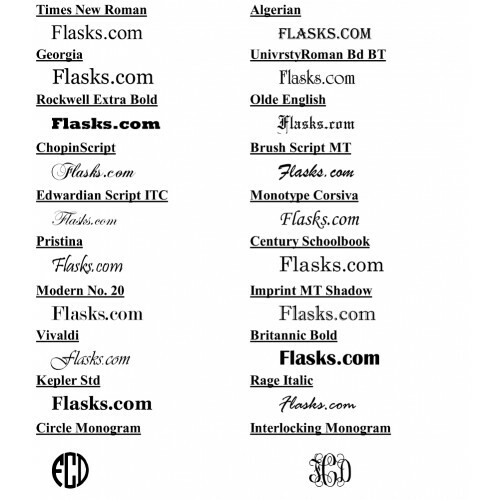 Giving gifts was never so much fun, now that you’ve discovered our awesome www.Flasks.com website! 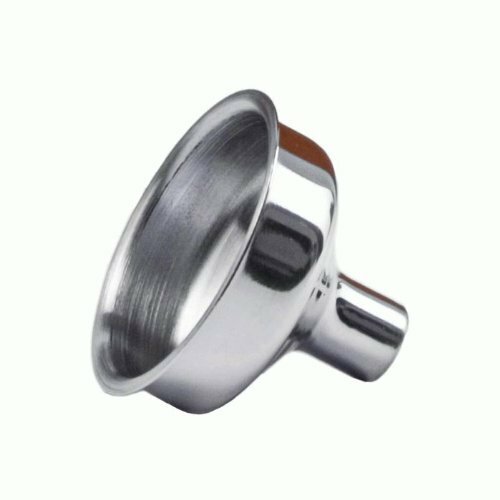 Please tell a friend about us!